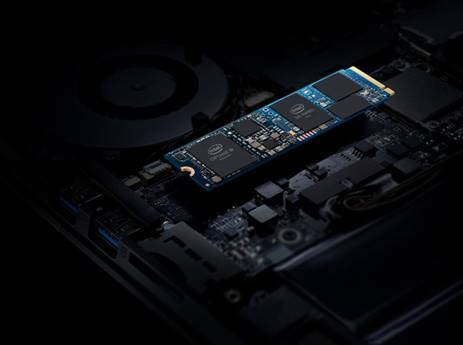 Intel revealed the details about Intel® Optane™ memory H10 with solid state storage – an innovative device that combines the superior responsiveness of Intel® Optane™ technology with the storage capacity of Intel® Quad Level Cell (QLC) 3D NAND technology in a single space-saver M.2 form factor. Combining Intel Optane technology with Intel QLC 3D NAND technology on a single M.2 module enables Intel Optane memory expansion into thin and light notebooks, and certain space-constrained desktop form factors – such as all-in-one PCs and mini PCs. The new product also offers a higher level of performance not met by traditional Triple Level Cell (TLC) 3D NAND SSDs today and eliminates the need for a secondary storage device. More information about Intel Optane memory product can be found here, and the full announcement on Intel® Optane™ memory H10 with solid state storage can be found here.